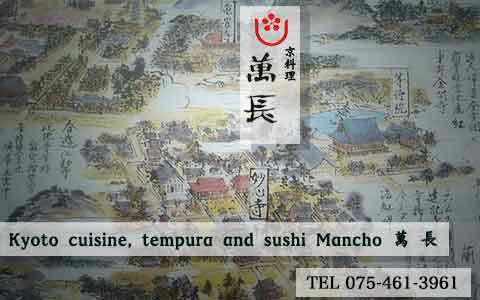 We serve "Real Kyoto cuisine cooked with heart"
Mantyo (Mancho) is perfect as a lunch and dinner destination after or before spending an hour or two strolling through the incredible Myoshinji-Temple Zen complex. 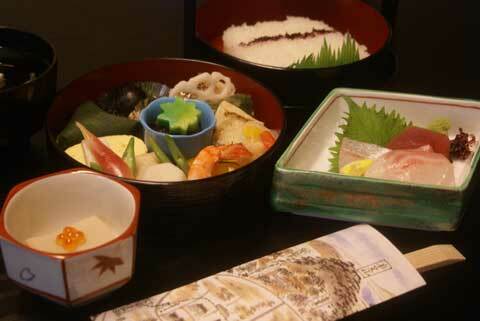 The area is also home to Ninnaji-Temple and Ryoanji-Temple. 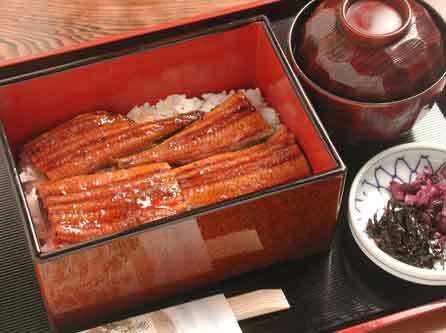 Our most popular lunch and dinner option, the Tsurezure Bento (from ¥2,940) which is named from a famous Japanese diary "Tsurezuregusa" written by Kenko Yoshida, who lived near the restaurant. 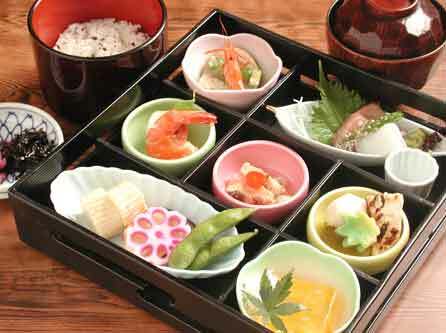 These beautiful 2-tier boxes are full of colorful, skillfully cooked Japanese dishes including fresh sashimi (sliced raw fish), small dishes of the seasonal appetizer and seasonal soup. 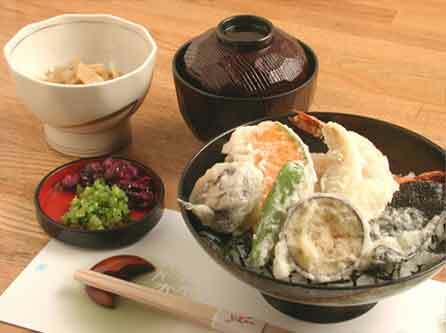 You will enjoy the real taste of Kyoto cuisine, tempura and sushi with reasonable prices. Locate in front of the northgate of Myoshinji-Temple. Copyright(c) mantyo All Rights Reserved.